One of these personalized baby gifts would make the perfect decoration for your baby boy's nursery! 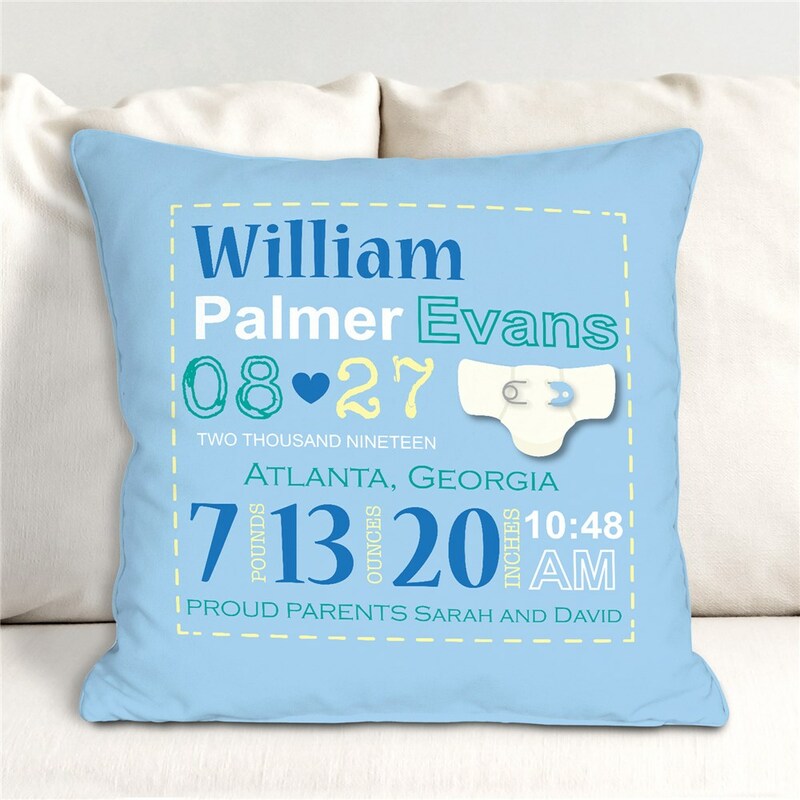 Announce the arrival of your new baby boy with our Personalized Birth Announcement Throw Pillow. This is one keepsake he can keep forever as a reminder of his warm welcome home from the hospital. Add personalization at no charge to make this newborn baby throw pillow truly one of a kind. Very good, was printed exactly as I expected, arrived in a short period of time, very pleased with the product and service!